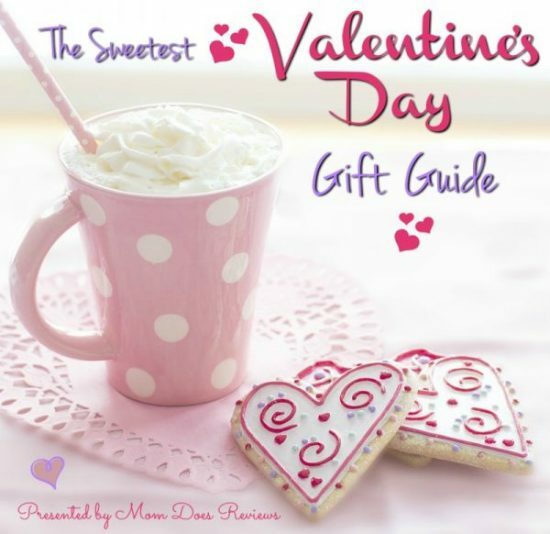 Looking for a great gift this Valentine’s Day? You can’t go wrong with Lugz! They have amazing styles, colors and fashions that anyone will love. 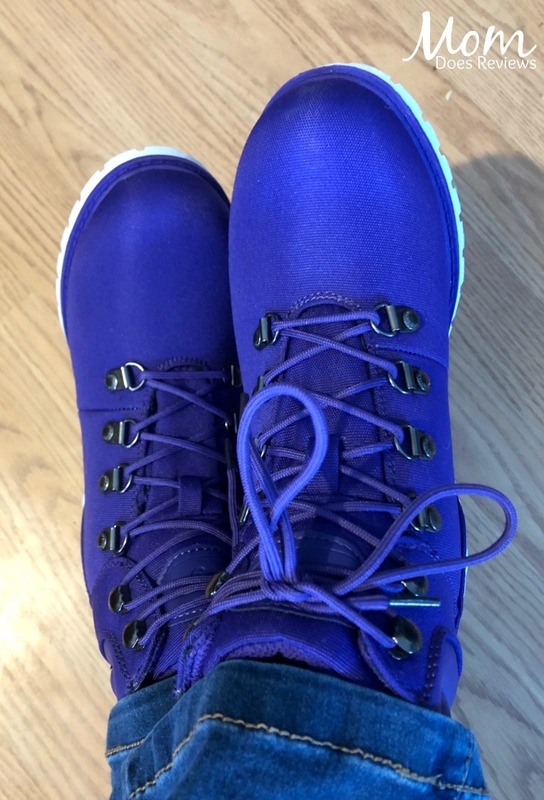 I was so excited to get my Lugz Grotto II Boots in purple! They are even better looking in person and I can’t stop wearing them! Tough on the outside, Feminine on the inside. You or the Grotto II? Fabulous looking boot that you can style anyway you want. Features a variety of upper materials, with a breathable lining. We made sure that the outsole is slip resistant, because we know you will want to rock these boots everywhere. Click the image below to shop for your own pair! 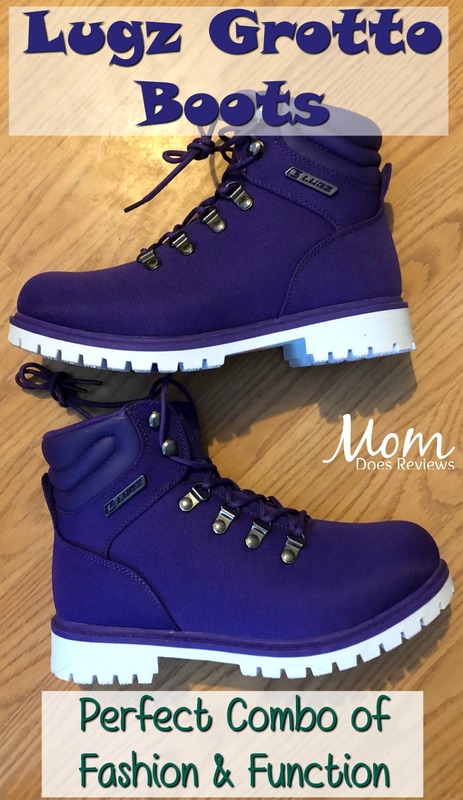 We LOVE Lugz at Mom Does Reviews. Check out all the reviews and giveaways we have done HERE. Living in New England, I have to have rugged footwear. Lugz doesn’t dissapoint. The Grotto boots have a great tread. Besides the color, my favorite feature is the amazing, no-slip tread. There will be no slipping in the slush and snow this year or falling on slippery leaves. They are rugged, well-made, easy to get on and they look great too. I like the stitching details and the eyelets- classic Lugz! The white soles/tread really make the purple color stand out. These great boots are ready for any adventure at any time! 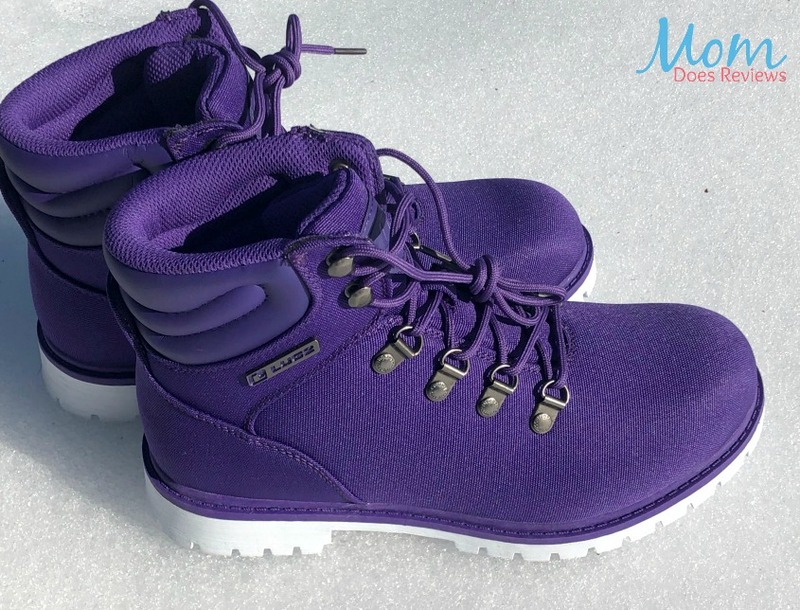 I can’t decide what I love more about my Lugz: the style, comfort or color, or the quality and durability! Luckily, I don’t have to choose, they have it all! Be sure to add Lugz to your list of “what to get her” or “what to get him” for Valentine’s Day or any occasion. Grab a pair just to say I love you! Place an order by 2/14 and save 30%! Use VDAY30 at Checkout! 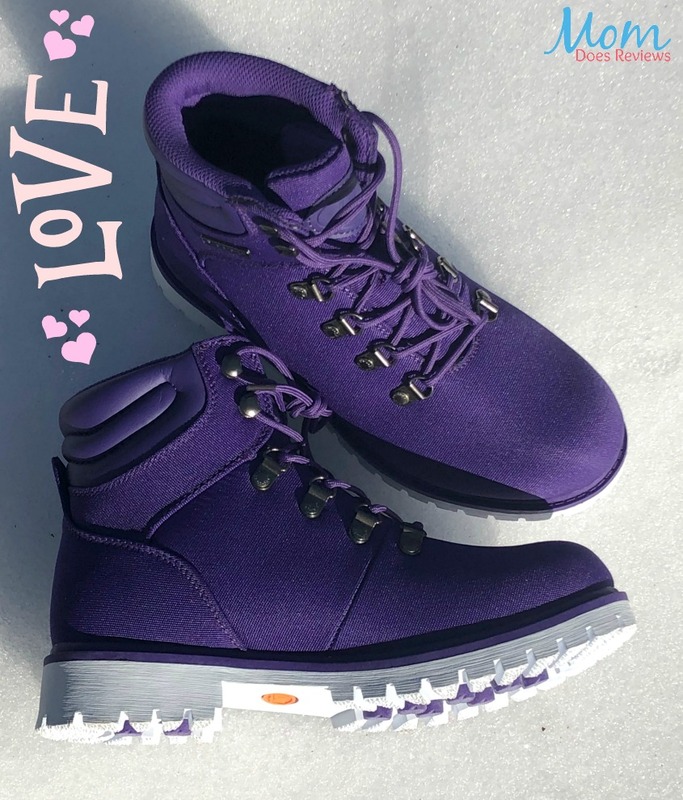 We have added Lugz to our Valentine’s Day Gift Guide!